Photo Credit: Tired by Andrew Bardwell (photo of baby yawning) You know the look-the tired eyes, the coffee cup in hand, the weary smile. It’s the look of a caregiver who has been trying, unsuccessfully, to get some sleep. Maybe the child is a newborn or maybe they’re a negotiating preschooler, but it’s a common thread among adults-the cry of why won’t you sleep? The theme of kids not sleeping has long been a picture book go to, but the theme has gotten especially creative this year with books published for the adults as much as their kids. These new picture books are sure to get laughs and nods from the adults in storytime as they see themselves and their kids in the pages. I recently attended a training given by two of my amazing co-workers about their fantastic homemade interaction play stations. Once I saw what Emily and Kelly had created, I was inspired to try it out at my branch and I knew I had to share their creativity with others! Emily & Kelly: We noticed in our interactions with children in both our storytimes and outreach visits that when we asked an open-ended question that required them to use their imaginations children would either not answer or respond with “I don’t know.” So we started looking for ways to introduce pretend play to spark their imaginations. We also wanted to demonstrate to parents the importance of pretend play and the ability to provide the same types of learning opportunities at home without having to invest in expensive toys. Here in Missouri it’s just started to feel like winter and we are all eagerly awaiting the first snowfall. I love using music in storytime! I love to sing and dance with the kids and parents so I’m always on the lookout for new songs to use in storytime that I can get my families excited about. While we love old classics, I like to switch things up and introduce some new songs to promote our music collection and let them know we have lots of great kids music-no listening to annoying kids songs here! Pokemon Go popularity is not showing any signs of slowing down anytime soon. According to a report from USA Today the game has topped 15 million downloads and the average person is spending around 33 minutes per day in the app. 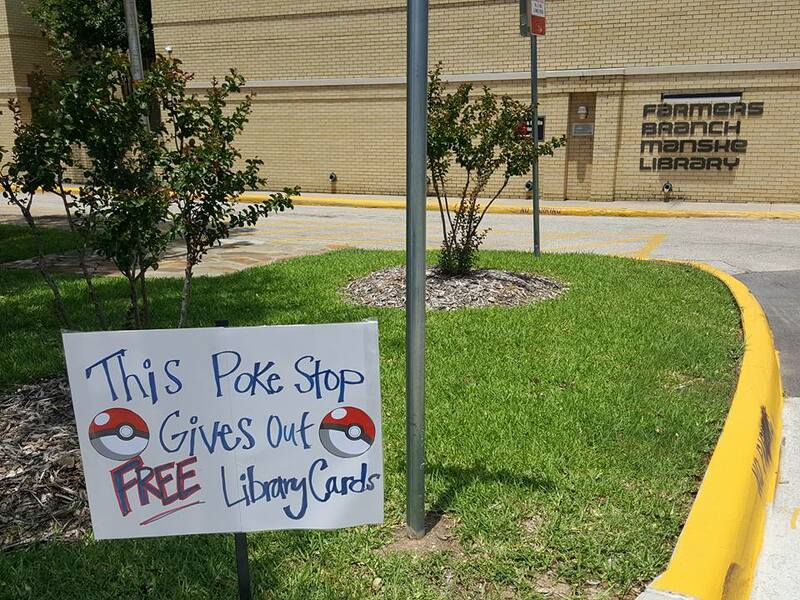 With the game continuing it’s pop culture run and with libraries as many Pokestops or Gyms, this is a perfect time to embrace media mentorship in the library and incorporate it into our Pokemon Go programs.